A massage technique designed to disperse physical tension from the body in a gentle way by loosening tight muscles and reducing stiffness, removing energy blockages within the body and increasing blood and lymph circulation. Relaxation/Swedish massage uses five soft tissue manipulation techniques: effleurage (long, gliding strokes), petrissage (kneading strokes), friction (deep, circular rubbing), tapotement (tapping) and vibration (fine, rapid shaking movements). 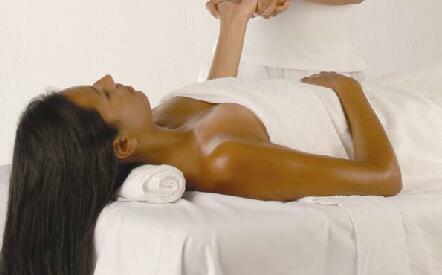 The aim of the massage is to bring the body back into a balanced and relaxed state.